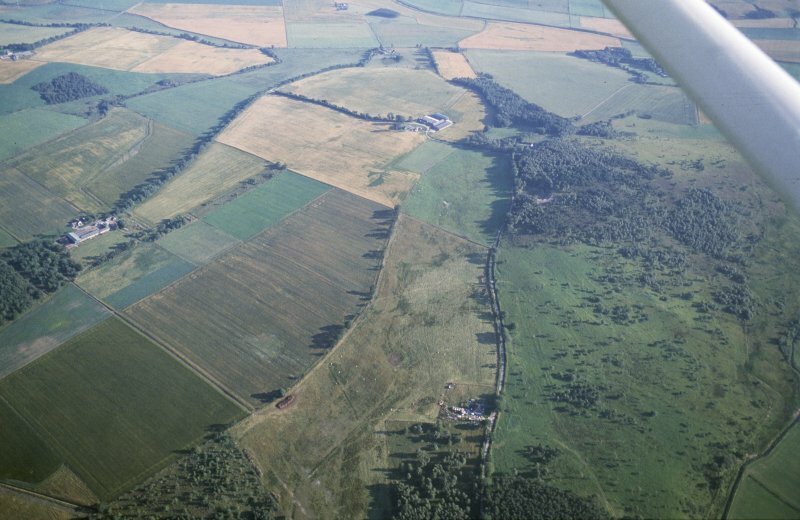 (Centred NJ 48900 52080) A Roman Camp of the 120 acre class has been identified on the farm of Muiryfold. 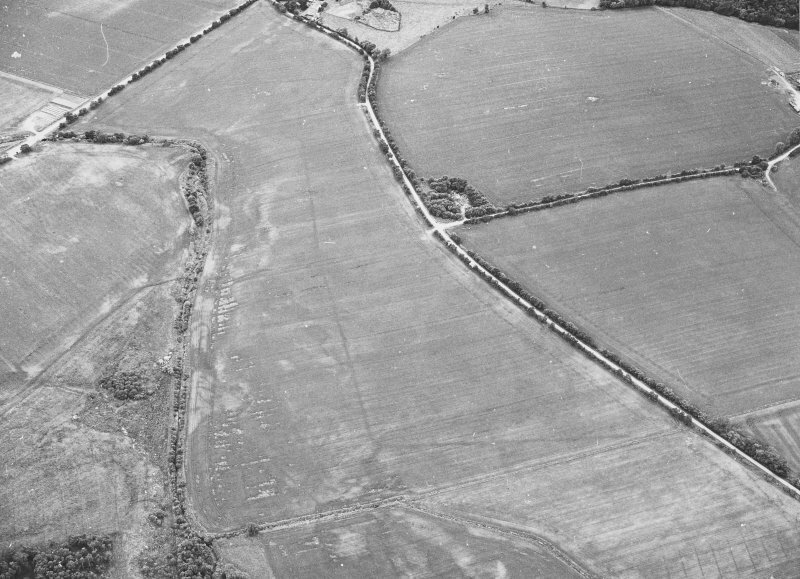 It lies on the SE facing slope of Gallow Hill. 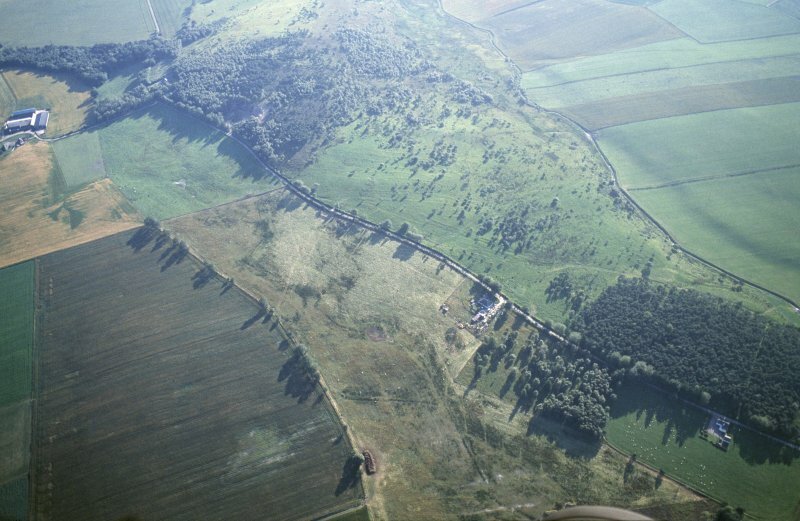 The greater part of the SE side, including a gate, much of the NE side with gate, nearly half of the NW side, and the N and E angles, have been recorded. These establish the axial dimensions as 2,600ft by at least 1,700ft. 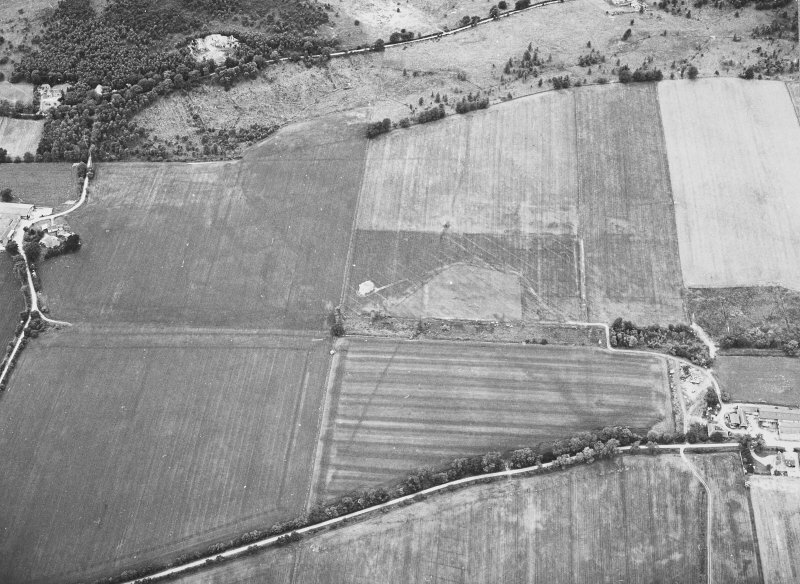 Outline of Camp plotted at 1/2500 from St Joseph APs and ground observation. No surface traces exist. 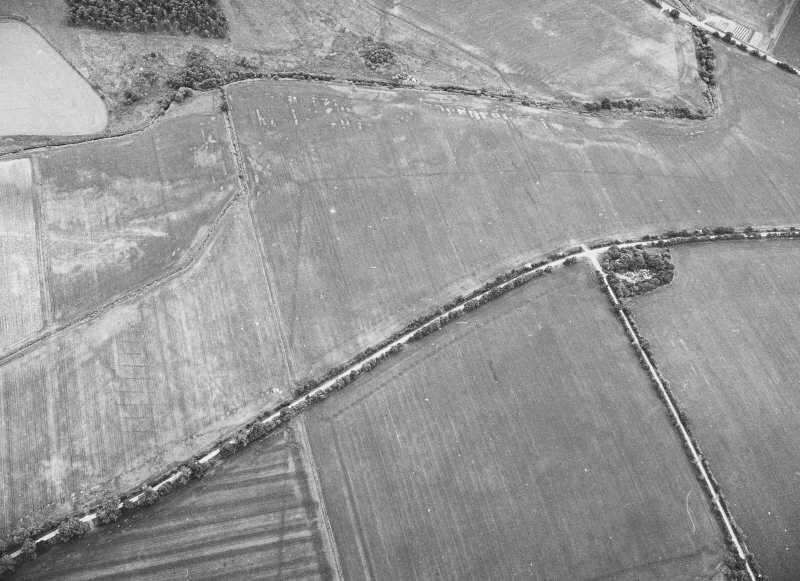 Roman Camp visible on RAF photographs AAF 56: ACG 93: ADY 6: PKD 38. 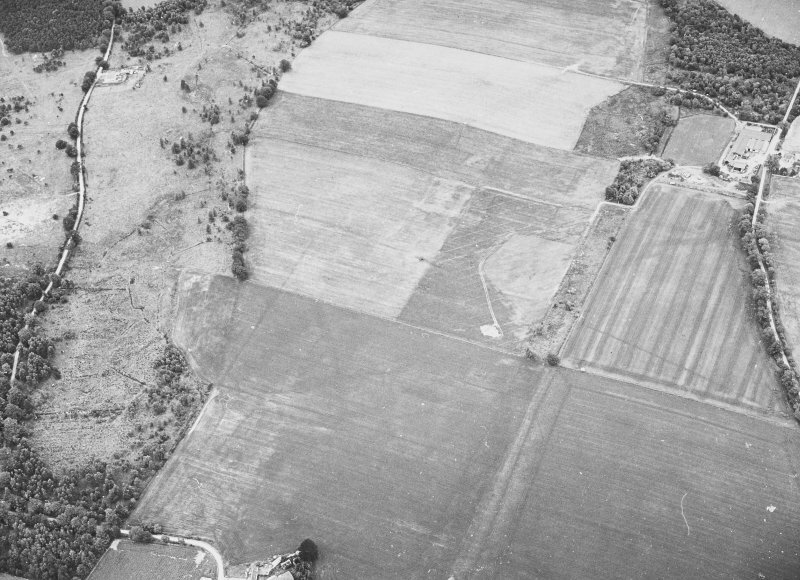 Visited by OS (RL) 12 July 1967. NJ 489 522.Trapezoidal dressed stone 400mm by 300mm by 130mm thick with flat-bottomed hole 170mm diameter and 30mm deep cut in one face. 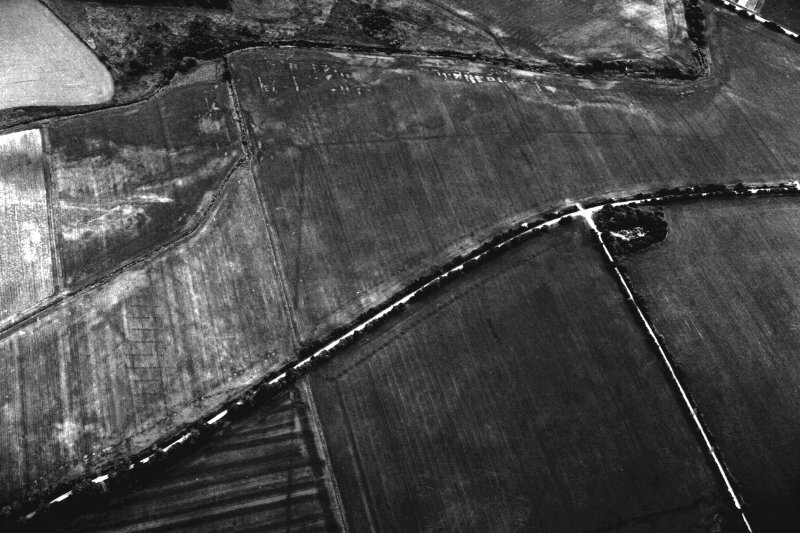 Ploughed up by farmer on site of Roman camp. In possession of Keillar. 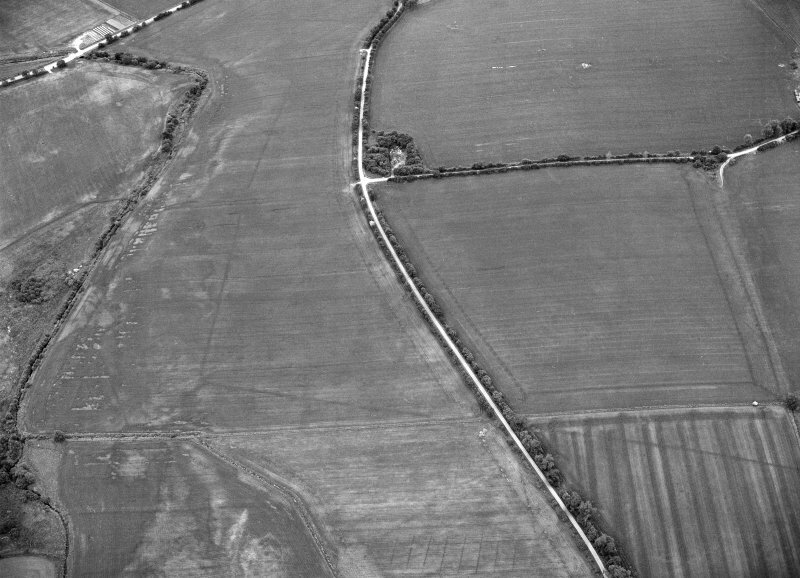 The camp at Muiryfold was first recorded from the air by St Joseph in 1959 (1961: 123), lying to the east of Keith, north of the River Isla close to the Pass of Grange, and about 2.5km east of Auchinhove. 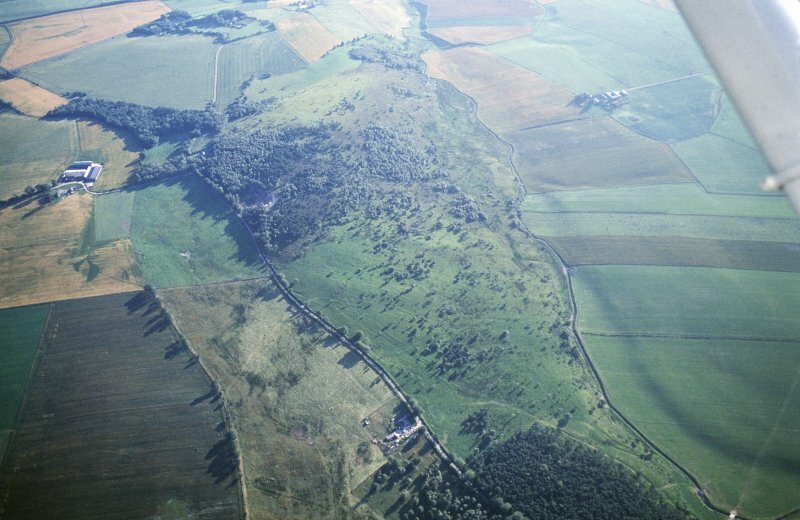 It is situated on land that slopes gently from Gallow Hill to the north-west to the Burn of Braco to the south-east, a tributary of the River Isla. 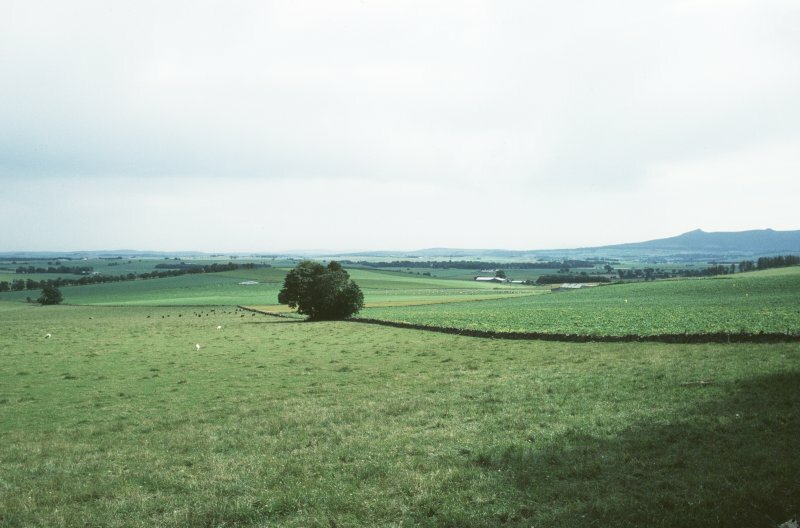 It lies in a series of improved pasture and arable fields surrounding the farm of Muiryfold, and no trace is visible on the ground. 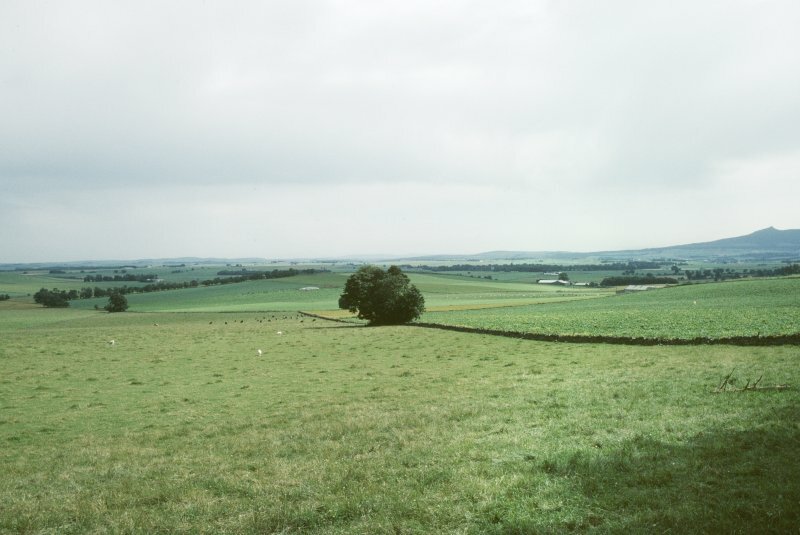 It is not quite rectangular in form, measuring about 768m from north-west to south-east by 522m transversely and encloses just over 41ha (102 acres). 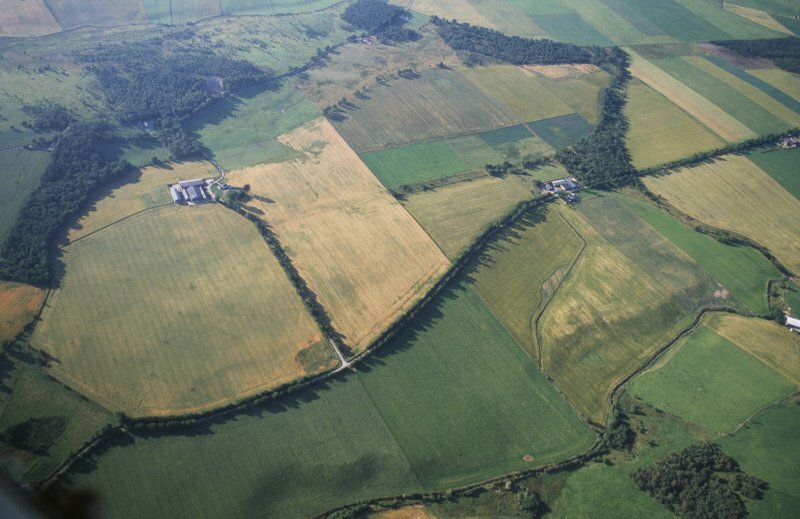 Entrance gaps protected by tituli are visible in the centre of the southeast side (where the camp bows out) and at two points in the south-west side, suggesting that the camp had six entrances. 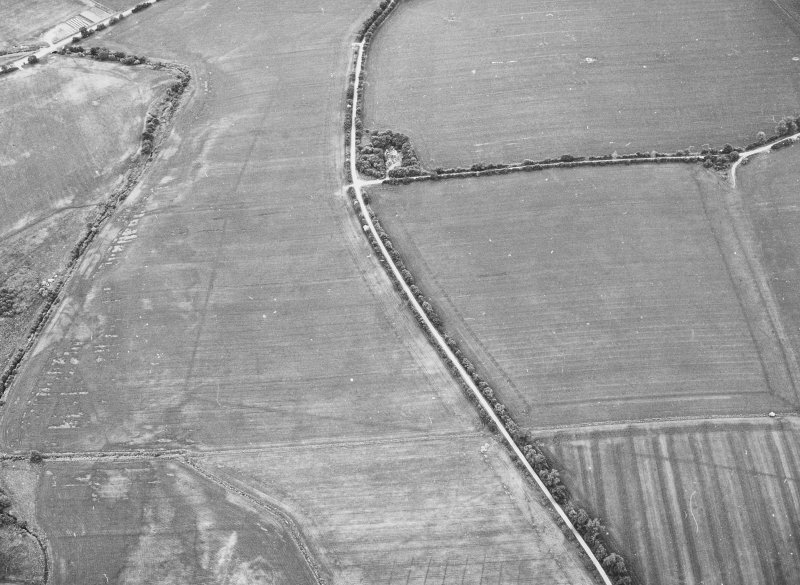 St Joseph excavated two small trenches in 1959, in the north-west and south-east sides, and he recorded that the ditch measured up to 3.3m in width and about 1.3m in depth (RCAHMS St Joseph Collection: Notebook 2).